New Delhi: Served show-cause notice for participating in a protest which almost disrupted an event attended by two Union ministers, 14 resident doctors of AIIMS today responded saying they had not indulged in any undisciplined activity and thus a disciplinary action against them will be “unjustified”. The institution has now issued another notice warning 2nd semester MBBS students against participating in any kind of illegal activities like staging protests, displaying banners, shouting slogans and attempting to disrupt peace. “If any student is found indulging in the illegal activities, disciplinary action as deemed fit will be initiated against him or her,” the notice read. Yesterday, the AIIMS administration had issued show-cause notices to the doctors asking why their services should not be terminated for participating in a protest against the signing of an MoU between AIIMS and National Buildings Construction Corporation Limited (NBCC) to sell 10 per cent of the institutional land for commercial use for building over 3,000 flats for AIIMS staff in Ansari Nagar, West Campus. In their replies, the resident doctors stated that it was a “misconception” on the part of the administration that they had indulged in illegal activities and that they wanted to submit a memorandum to the ministers but the security guards and police used physical force on them and on the female residents to remove them from the spot. “I would like to focus on my duties as a student rather than indulge in misconceptions as our Prime Minister has called upon youth of the country as in let us join the mass movement towards surajya, realise the hopes and aspirations of the people and take India to greater heights. 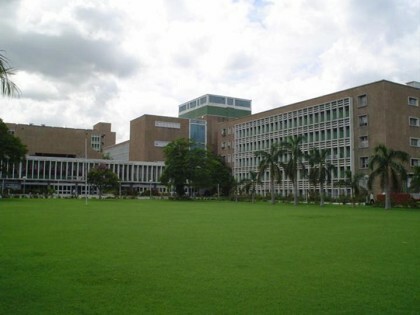 “Since, I have any discharged my duties as a responsible citizen of country upholding the values of our constitution, judiciary and Prime Minister, I find no basis in the proposed disciplinary actions when all my actions has been towards the discipline, dignity and prestige of my alma mater, AIIMS, New Delhi,” one of the replies read. They said that further pursuance of the matter will result in undue addition to mental trauma to them and the student community as a whole. “Any inconvenience caused (inadvertently) is regretted by student community. I believe any disciplinary action against me is unjustified and not in line with existing rules and regulations. I fear any action on the basis of the vague show cause notice and misconception grossly undermines the ethos and spirit of cited high court order, our respected judiciary, our constitution and messages of our Prime minister,” they said. On Tuesday, the protesting resident doctors tried to barge inside the auditorium, where the the MoU was being signed in the presence of Union Health Minister J P Nadda and Union Urban Development Minister M Venkaiah Naidu.